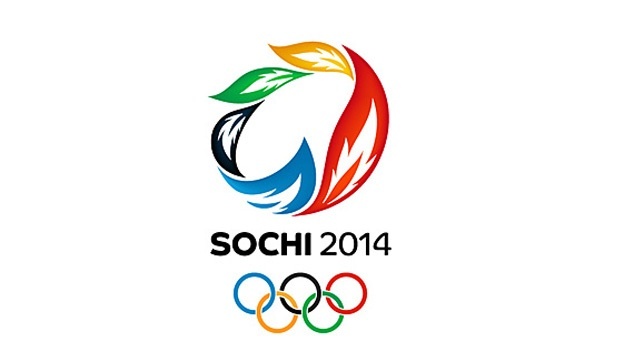 This winter will see thousands of people travel to Sochi in Russia for the 2014 Winter Olympic Games. For just over 2 weeks Sochi will play host to the largest winter sports gathering in the world. Athletes will travel from 88 different countries from all over the world to take part in 98 events in 15 winter sports such as Skiing, Bobsleigh and Ice Skating. It is estimated that over 50 billion US Dollars has been spent on the facilities and organisation which will make the 2014 Winter Olympic Games the most expensive Olympics in history. Thanks to the MyLiveStreams Live Sochi Winter Olympic Games Webcams you can watch all the action live on cam. 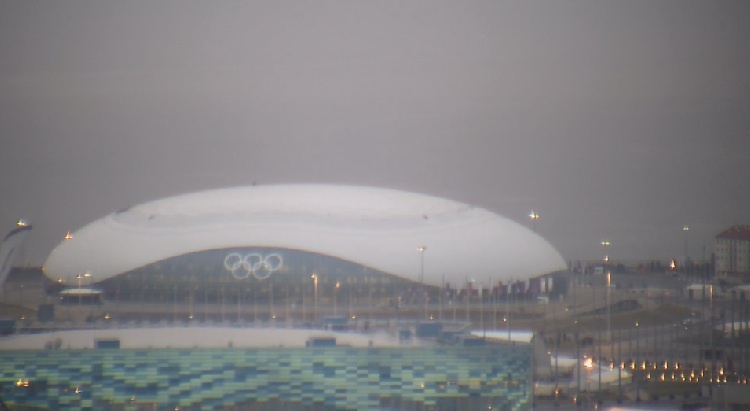 Check out the very latest Sochi Winter Olympics views overlooking some of the busiest sports venues and stadiums with the Sochi Live Streaming Weather Webcams on MyLiveStreams. 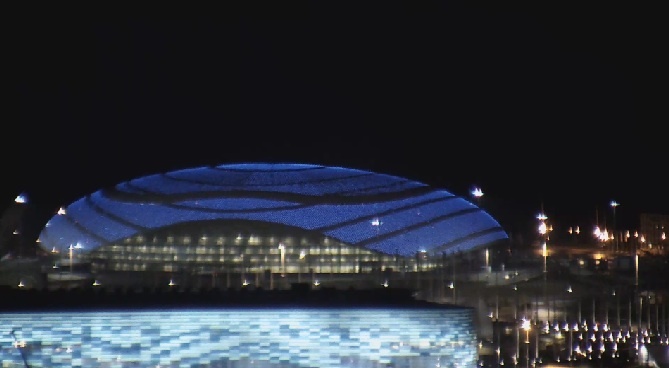 Watch live streaming views overlooking the Fisht Olympic Stadium and the Bolshoy Ice Dome as well as some great views overlooking the Krasnaya Polyana Ski Slopes. 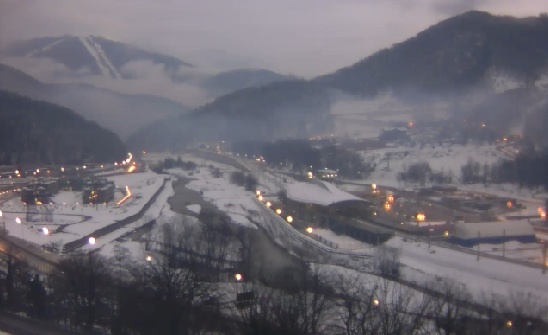 Check out the very latest Sochi Winter Olympic Games weather conditions in real time live on cam and watch the crowds gather to watch some of the great winter sporting events that will take place over the course of the games. 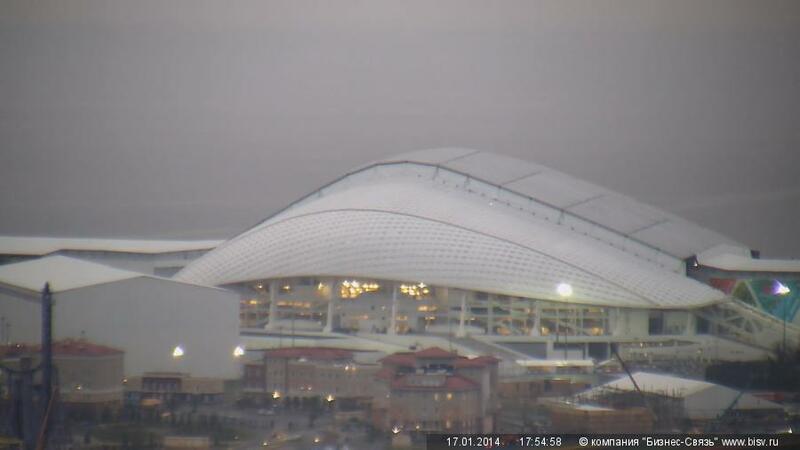 Watch all Sochi Winter Olympic Games Live Webcam Views from the MyLiveStreams Live 2014 Sochi Olympic Games page. Enjoy these live streaming webcam views and many more 2014 Winter Olympic views with the MyLiveStreams Live Sochi Winter Olympic 2014 Webcams.